Everyone wants to harness the power of social media for just about everything. 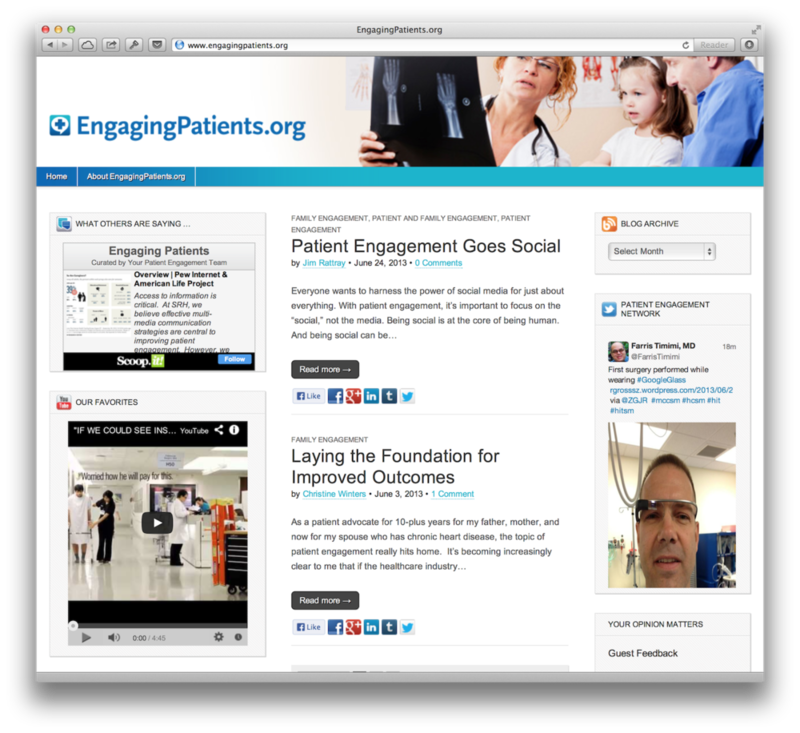 With patient engagement, it’s important to focus on the “social,” not the media. Being social is at the core of being human. And being social can be a key driver that can engage and empower patients in their own care and lead to better individual outcomes and overall improvements in the health of a community. Community is at the heart of “social.” While traditional social media channels — like Twitter, Facebook and others — do a nice job of creating and promoting a sense of community, engaging patients requires a deeper and more personal connection. Build your own community: Use small events that link caregivers, patients and their families. A great example is the “Walk with a Doc” movement where health systems hold regular walks hosted by physicians. Doing an activity like walking — together — cements that doctor/patient relationship. And the best part: both physicians and patients love it! Shared experiences: Shared medical appointments are growing in popularity. They allow people to share their journeys through specific diseases or conditions, such as diabetes, with others. This creates a communal experience that leads to a level of personal and profound support. It also helps your community improve its overall health. Involve your patients — and their families: The rise of Patient & Family Advisory Councils (PFACs) offers meaningful interaction between patients, families and caregivers. PFACs allow for understanding, debate and ultimately collaboration that give all members a stake in the organization. They own it, care about it and will fight for it. Engage the crowd: Harness the power of crowdsourcing. A great global example is www.watsi.org, where donors can make micropayments to help deliver care to real patients in developing countries. Why not bring this idea closer to home? Find ways to engage your community as mentors, coaches and advocates. This will give everyone a shared investment in better health. For any of this to work, you must create trust. And that comes with the investment of time, hard work and sincerity. Health care is a very personal experience — but one that ultimately everyone shares. Embracing the “social” side of health can improve experiences, outcomes and, ultimately, lower costs for all. This post originally appeared on EngagingPatients.org, a blog dedicated to advancing patient and family-centered care. I am a member of the Engaging Patients Advisory Board and write for the blog. See announcement in Wall Street Journal (June 27, 2013).